The real estate investing arms of the Caisse de dépôt et placement du Québec and the Ontario Municipal Employees Retirement System are teaming up to invest in the U.S.-based IDI Logistics. In just over two years, Ivanhoé Cambridge has grown its investments in the industrial and logistics sector by about seven billion dollars, according to Morroni. IDI Logistics is based in Atlanta and specifically deals with developing and managing logistics real estate assets. Besides the company itself, the joint venture is taking on its portfolio of 111 operating assets, 35 development projects and 33 parcels of land. 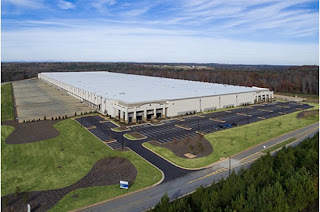 “This acquisition represents Oxford’s first logistics acquisition in the United States, is complementary to our Canadian industrial portfolio and is consistent with our investment strategy to establish and grow a portfolio of best-in-class logistics assets across the globe,” said Kevin Egan, head of New York and U.S. investments at Oxford Properties. Two of Canada’s biggest pension funds will jointly own Atlanta-based warehouse developer IDI Logistics after Ivanhoe Cambridge Inc. sold half of its stake in the company to Oxford Properties Group. Ivanhoe, which bought IDI in November from a unit of Canada’s Brookfield Asset Management Inc., for about $3.5 billion, sold 50 percent of it to Oxford for about $1.7 billion in December, according to people with knowledge of the transactions who asked not to be named. IDI has more than 70 employees across six offices in the U.S. and a portfolio of 111 assets, 35 development projects and 33 land parcels, the companies said in a statement Wednesday. Together, the new owners say they can more effectively develop IDI’s business. 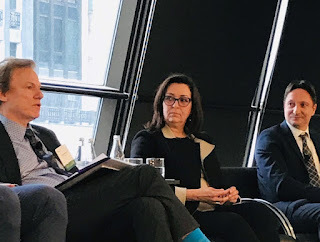 “It would take us years to piece together a portfolio this size and quality on an asset-by-asset basis, so IDI was an opportunity to own, together with Ivanhoe Cambridge, a 47 million square feet portfolio plus a very large development pipeline,” said Kevin Egan, head of New York and U.S. investments at Oxford, the property unit of pension fund OMERS. Industrial real estate deals are attracting institutional capital in North America as the rise of e-commerce continues to drive up rents and lower vacancy rates for warehouses and distribution centers. Blackstone Group LP closed its $7.6 billion purchase of Gramercy Property Trust in October and bought Canada’s Pure Industrial REIT last January in a joint venture with Ivanhoe, which has also singled out warehouses as a target for its growing global business. In just over two years, Ivanhoe has increased its overall committed investments in the industrial sector from more than C$2 billion ($1.5 billion) to more than C$9 billion, Mario Morroni, executive vice president of industrial in North America for Ivanhoe, a unit of Caisse de Depot et Placement du Quebec, said in a statement. The IDI acquisition will help Montreal-based Ivanhoe “to accelerate deployment probably by about 3 or 4 years and given where we were at market pricing right now, we felt that it was important for us to be able to keep on developing the support of the development of this team,” Morroni said in an interview. Oxford “was for us the perfect partner to know that going over the next couple of years, where there may be a slowdown, we’re going to have two sources of capital with people who understand the risk of development and make IDI even better than it has been for the past 30 years,” Morroni said. The investment is part of Oxford’s continued expansion of its global industrial portfolio: the Toronto-based firm has a C$1.9 billion portfolio in Canada and made its first foray last year into Europe’s logistics sector with a 200 million pound ($261 million) investment in GLP’s development fund, Egan said. In the U.S., Oxford has been expanding its presence with plans to spend about $2 billion to develop New York’s Hudson Square. It already has about $15.1 billion of assets under management in the U.S. Logistics real estate is a very hot area all over the world (not just North America) as e-commerce explodes. The Caisse and CPPIB have already invested in logistics facilities in Asia and this deal is one of many and more to come in North America. It's basically investing in a long-term secular trend, the rise of e-commerce all over the world. The Caisse's real estate subsidiary, Ivanhoé Cambridge, bought IDI Logistics from Brookfield Asset Management for $3.5 billion and sold half its stake to OMERS's real estate subsidiary, Oxford Properties, for $1.7 billion in December. 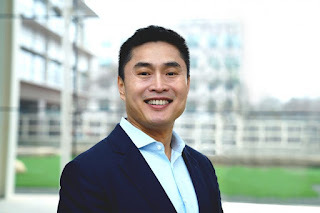 It's a great deal for Oxford as it ramps up its logistics exposure and partners up with one of the best real estate outfits in the world (Ivanhoé Cambridge). And for Ivanhoé, Oxford is a great partner, one I'm sure they will team up with again for future real estate ventures. I don't cover real estate as much as I should but make no mistake, it's one of the most important asset classes at these large pensions because it's a long duration asset which offers steady returns (long-term leases and capital appreciation) and fits well in terms of a liability hedging as well as inflation hedging (real assets) portfolio. 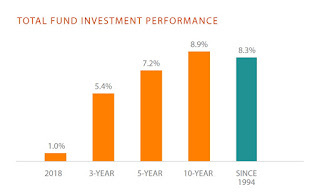 The long-term returns of real estate are anywhere between the returns of bonds and equities with less risk than stocks, especially when talking about prized real estate assets. Sure, there are some opportunistic deals which are much riskier (and offer higher returns) but these deals are not what makes up the bulk of pension fund portfolios (they typically invest in external managers who take these risks). Anyway, there isn't much more I can add on this deal. Take the time to read the Ivanhoé Cambridge press release here, Mario D. Morroni, Executive Vice President, Industrial, North America at Ivanhoé Cambridge explains it very clearly. Are there risks with logistics and commercial real estate? Of course, the biggest risk is a pronounced economic downturn. For example, when the oil slump hit Alberta hard, commercial real estate in Calgary and Edmonton also slumped, vacancy rates surged and rents declined. But again, logistics is a long-term secular theme, these pensions aren't buying these facilities for a quick flip and they can ride out any downturn in the US and global economy, waiting for a recovery. Below, IDI Logistics is one of the world's leading investors and developers of logistics warehouses and distribution parks with 33 million square feet of premier assets under management and additional prime land sites to develop another 20 million square feet of distribution facilities near major markets and transport routes throughout North America. Second, my favorite real estate investor, Blackstone President and Chief Operating Officer Jonathan Gray talks with Bloomberg’s Jason Kelly at Bloomberg’s The Year Ahead summit in New York (November 28, 2018). Listen carefully to his insights on real estate, he makes great points. In fact, listen carefully to the entire interview with Jon Gray, he covers all of Blackstone's four main activities -- real estate, private equity, credit and hedge funds -- extremely well and also discusses how his firm is trying to improve data among the units to improve its returns. Lastly, Howard Marks, co-chairman of OakTree Capital, sat down with CNBC's Brian Sullivan earlier today to discuss his market outlook and the Fed's decision to hold rates. Great interview, listen to what he says about what happens if the Fed cuts rates later this year (he gets into it around minute 4:30 when Brian Sullivan asks him: "What happens if the Fed cuts rates?"). Transactions like this where a pension fund sells interest to another one shortly after acquisition are very reassuring, the premise being that if one pension fund gets it wrong it’s highly unlikely that a second one would do the same. 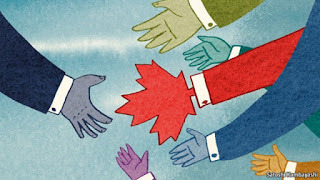 Moreover, we are talking about top Canadian pension funds. 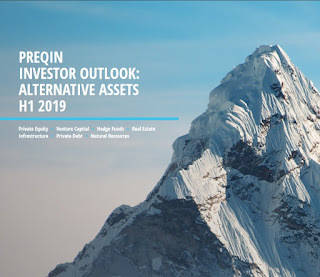 We can be certain that any dispositions by Brookfield would be at the peak of the market i.e expensive, but at the same time, as you said, this is a long term hold in a platform that has been successful in an asset class market that will continue to grow. The only comment I will make is that given logistics is dependent on retail, both funds will have to proactively stay on top of the trends in consumer behavior: Millenials are buying on-line and Gen Z in stores, with the rest of us doing a bit of both. The question is: which trend will have more influence? However, like anything else in real estate, time will tell. I thank Alexandra for her excellent insights on this deal. Simon, the largest mall owner in the U.S., has like its peers been grappling with how to deal with an onslaught of store closures from tenants big and small, ranging from Sears to Starbucks’ Teavana. The real estate investment trust finds itself in an especially unique position with Sears’ bankruptcy in that it’s also a member of an unsecured creditors committee now arguing Sears can’t be saved, as Sears Chairman Eddie Lampert is still trying to salvage some 400 stores. Gives you an idea on why logistics is better than owning retail malls right now.